 For over 90 years, Kingsford has fueled millions of family dinners, cookouts and more. And now, we’ve crafted Kingsford ribs and BBQ entrees with our customers’ cravings in mind. Prepare yourself for flavor you can’t recreate without the help of all-natural ingredients and a slow-cooking, hardwood smoker. Our dinners are made exclusively with real ingredients that meet our standard for genuine BBQ flavor. That means we use no high fructose corn syrup, artificial flavors or colorings – only the good stuff. First, we hand select the best cuts of meat. Next, we season them with the perfect blend of spices. Then, we slow-smoke them for hours using real hardwood. Slathered with sauces from our favorite BBQ regions across the country, the meals are carefully packaged in our mess-free pans, perfect for easy cooking, eating and cleanup. We know there’s not always time to grill. So whether it’s graduation day or just another Tuesday, we’re making it easy to put mouthwatering BBQ on the dinner table. After all, family time should be spent together, not over the stove and dishes.